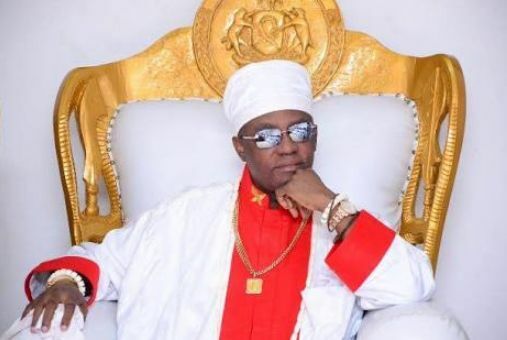 The Ijaw ethnic nationality across the Niger Delta has called on President Muhammadu Buhari to call the revered Oba of Benin to order over alleged second-class treatments meted out on Ijaws in the Ijaw communities of Edo State. They specifically frowned on an alleged deployment of soldiers to prevent Ijaws and their monarchs from gaining access to Olodiama kingdom in Ovia North area for the coronation ceremony of the new monarch, HRM Alagba Bunafa on Monday night and Tuesday morning. Scores of Ijaws from Gbaramatu kingdom in Warri South West area of Delta State, Idweni Kingdom, Kolokuma Kingdom, Ogbeyin kingdom and others were reportedly denied access to Olodiama kingdom for the coronation by stern-looking soldiers laying siege to the access road to the kingdom. At a press briefing held at Warri Club on Tuesday, the Benemowei and spokesperson of Gbaramatu Traditional Council of Chiefs, Chief Godspower Gbenekama, accused the Oba of masterminding the deployment of soldiers to block the road leading to Olodiama kingdom Monday night. Gbenekama, who spoke on behalf of the people and monarchs of Gbaramatu Kingdom, Idweni Kingdom, Kolokuma Kingdom and Ogbeyin kingdom who were in attendance, averred that the siege being laid on Olodiama was calculated to portray the Ijaws as troublemakers. He wondered why the military would allow itself to be used by overbearing Benin to desecrate and degrade the traditional institution of the Ijaws as if they are second-class citizens. Gbenakama described as ironical and counterproductive the Federal Government’s deployment of soldiers to scuttle the coronation of a royal which it usually relies on to engender peace in the region. He disclosed that the coronation of a new pere in Olodiama was significant because the people had had no monarch for a long time, but just recently agreed on a suitable choice for peace and development of the kingdom. “This is not acceptable to the Ijaw kingdoms. They were on a peace mission to celebrate with their kin and kiths in Olodiama kingdom. “One wouldn’t know why the military went to set up a roadblock but we want to say that this very very unacceptable. “The Kings have tried to get into Olodiama but they are being repelled by the military authority. “We’re not happy over it. This is not an issue of militancy, neither is it an issue of criminality. “It’s an irony for a government who relies on traditional stools to engender peace in communities to also turn against the same traditional institutions,” Gbenekama conjectured. According to him, the unfortunate treatment of the Ijaws in Edo State might have been informed by the economic assets sited in their kingdom, a situation is seen as giving them an upper hand in the scheme of things in the state. “The Benin kingdom has been struggling to annex Olodiama kingdom because of the oil and seaport sited there. “So, one won’t be surprised when this kind of things happens. We deduce that the hand of the royal father of Benin Kingdom is behind what is happening. “It’s just the face of the military but it’s the hand of the Oba of Benin,” the fiery activist opined. While declaring that the Ijaws were not at war with the FG, the Ijaw kingdoms warned the FG not to drag other Ijaw kingdoms into the dispute Benin’s have with their kin and kith in Edo to avoid a spiral effect through misconceptions. “The Ijaw nation is not at war with the Nigerian nation nor is the Ijaw kings at war with the Nigerian nation. “The best they’ve been doing well is to ensure that there’s peace in the Niger Delta, but this what the Nigerian government has succeeded in repaying them with. “Olodiama had had kings in the past, but there’s been an interregnum, so it’s in a bit to install a new one. Because the people have come together and agreed that the interregnum was over. “The FG is drawing other Ijaw nations into the crisis of Olodiama kingdom and into the misunderstanding that’s in Edo State. ‘We’re appealing that our royal fathers should be allowed to do what they’re meant to do in Nigeria. “The Edo State should not pull in other Ijaw kingdoms into the crisis. Olodiama kingdom is a sister kingdom to all other Ijaw kingdoms."